The Lord of the Rings : volume 2 / John Sangster. 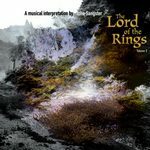 Here is the second volume of jazz composer John Sangster's classic epic musical interpretation of The Lord of the Rings. Originally a double-LP set issued by EMI over 25 years ago it has never been available on CD until now. Musical styles range from Sangster's distinctive form of jazz, to film-like music interpreting characters and events from Tolkein's trilogy. This 2-CD set for the price of 1 CD includes 55 minutes of bonus interviews with John Sangster, Tony Gould, Graeme Lyall and Len Barnard. Not to be confused with Howard Shore's music to the award-winning films, this trilogy is wholly Australian and was released on three double-LP sets by EMI over 25 years ago, later deleted and remaining unavailable for many years. Written by the noted Australian jazz and film composer John Sangster, the series remains a highly ambitious and epic production. From trad jazz to film-like music, there's something on this special double CD for everyone. Plus there's extras galore for collectors including the original LP artwork (computer PDF files) and rare video footage of John Sangster in action. So ... having read the book, visited the Ring website, and seen the film trilogy, you can now hear the jazz music: an essential album for any Australian jazz or indeed Tolkien fan. Contents note: CD 1: The o'goblin tattoo -- The Misty Mountains -- Beware the barrow-wight -- Goldberry -- Tom Bombadil -- The mirror of Galadriel -- Blues for Denethor -- Encore Gandalf! -- Phantasmagoria for Moria -- Longbottom leaf -- Farewell Lothlorien -- CD 2: The glittering caves -- Fair Ãowyn -- Shelob's lair -- Thank you perfessor -- Goodnight. CDs also include interviews with John Sangster (12 March 1979), Len Barnard (17 August 2003), and Graeme Lyall and Tony Gould (19 January 2003), as mp3 files, and artwork from the original EMI LP set, as PDF files. Re-mastered from original LP recordings. Liner notes include brief programme notes. 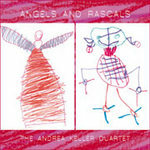 CD: Angels and rascals / The Andrea Keller Quartet. CD: An accumulation of subtleties / Mike Nock Trio. 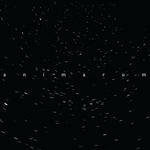 CD: Animarum / Jonathan Zwartz. CD: In the flow / Graham Jesse.